by Louis Louise is too sweet for words. I want every piece, not only for Leni but for myself too. Love the delicate prints, the playful shapes and well, just about everything else about this line. enamored with the simplicity of this Orange Nautical Shackle bracelet. Yes, the color is a bit flashy, but really any guy could wear this accessory. It’s made from sailing paracord rope and can be adjusted in length to fit different size wrists. Find more styles at Need Supply Co.
from Spring to Summer can be an easy one if you have the right essentials. To me, these all seem like handy ones to have around. off to enjoy this Memorial Day weekend – taking some trips, out on adventures, relaxing, enjoying the people we are with and leaving our computers behind. Have a great long weekend and see you back here on Tuesday! I just want to curl up and hide in a little tent all day. As a kid you might just get to have that option, so why not do it in this chic LA TENTE from Caroline Gomez? 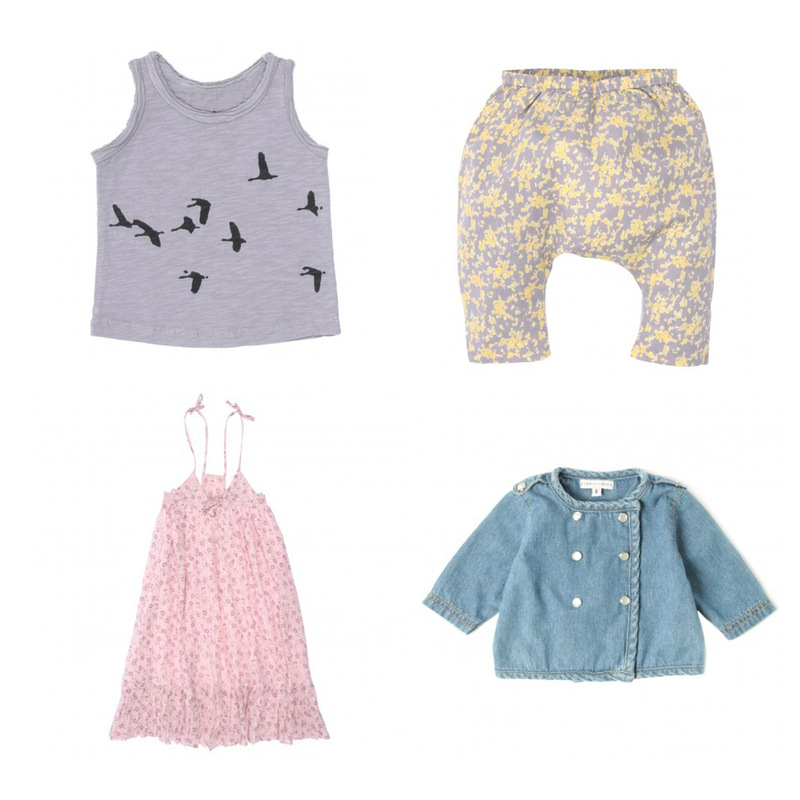 every piece Thumbeline is carrying from kids’ brand Gro. The line is full of stylish pieces like balloon pants, ballerina skirts, slouchy sweatshirts, and so much more. Totally cool, easy and super comfortable. Seriously, minority obsessed, if only they came in my size. 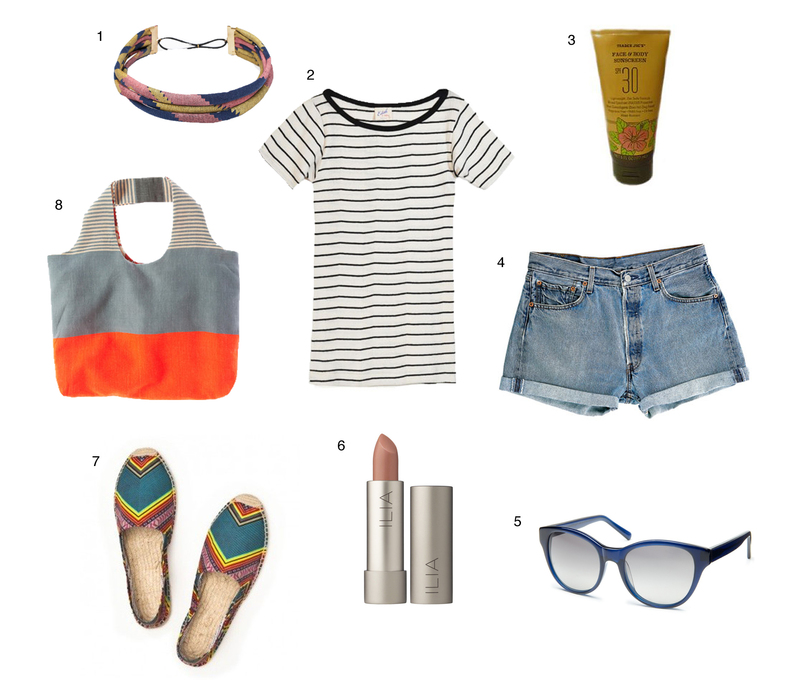 comfort, and as Megan and I always say there’s nothing like a great tee and a pair of jeans (and of course some bright lipstick!). I’ve had my eye on these kimono tops for a while now and without needing to say too much more, any one of these UZI tees would be a great bonus to my wardrobe. Check ’em all out here or here. feeling less than inspired when it comes to women’s apparel lately. Either too much going on, not enough, weird fit, or simply just not special enough. The result is I find myself shifting the focus over to accessories like this standout scarf from Lemlem to update my look. It’s printed by hand in Ethiopia using hand carved wooden blocks. Simply badass.